Join us this Saturday, April 19th to get out and enjoy the great weather and see what’s new on the Cresheim Trail. We will be doing clean up and prepping the next segment of the trail to extend the current natural surface trail to the right-of-way for the future multi-use trail. Please note new meeting location at the parking lot near Lake Surprise on Cresheim Valley Drive. We’ll provide tools, snacks and gloves. Please wear sturdy footwear, long sleeves and pants. 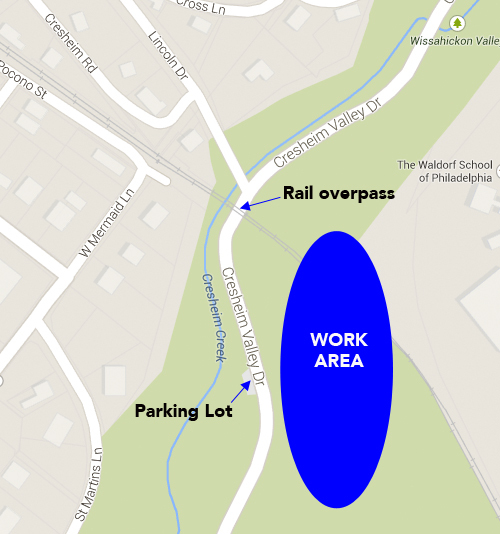 Directions: From Germantown Avenue in Chestnut Hill head south on Cresheim Valley Drive, parking lot will be on your right just after the railroad overpass. From Allens Lane in Mt. Airy head north on Cresheim Valley Drive, the parking lot will be on your left approximately 1/4 mile after Cresheim Road. To avoid a dangerous left hand turn, continue on CVDr, under the railroad overpass and turn left on Lincoln Drive (which has a left hand turn lane). Go around the block to head back to Cresheim Valley Drive heading south, and make a right turn into the parking lot just after the rail overpass. If you are walking or biking to the worksite, head directly to the worksite. 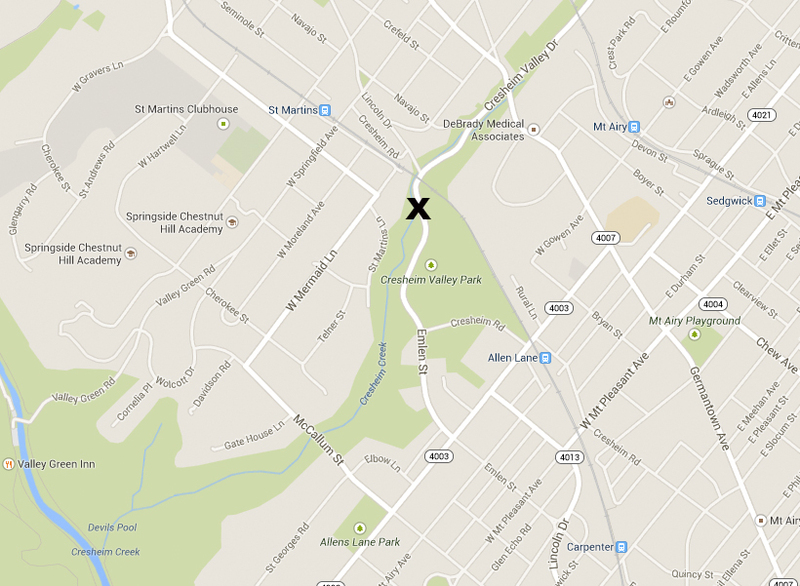 Our table will be set up in the abandoned parking lot east of Cresheim Valley Drive. Please use extreme caution crossing Cresheim Valley Drive on foot.